US Secret Service Investigation Defense Attorneys - Oberheiden, P.C. What You Should Do When You Are Under Investigation by the United States Secret Service? The United States Secret Service is a federal law enforcement agency located within the Department of Homeland Security. While most people associate the Secret Service with protecting the President and other executive officials, the Secret Service also conducts investigative activities. Historically, the Secret Service was created to combat the counterfeiting of United States currency, and it remains tasked with that function today. In addition, the Secret Service has assumed responsibility for protecting the nation’s financial infrastructure, including preventing, detecting, and investigating wire fraud and other forms of fraud conducted through electronic systems. Typical Secret Service investigations include allegations of computer fraud, telecommunications fraud, credit card fraud, theft from federal institutions, and counterfeiting of currency, among others. Secret Service investigators will often attempt to speak with targets of their investigations before pressing formal charges. In fact, being approached by Secret Service agents may be the first indication that you are involved in an investigation. Unless you have a lawyer present, you should never speak with Secret Service agents. Even if the agents tell you that they only want to speak with you as a “witness” to their investigation and that you are not a target, you should politely decline to speak with them unless and until you have an attorney present. Secret Service agents often use such informal interviews as a means to gather incriminating information from targets before the targets realize they are under investigation. 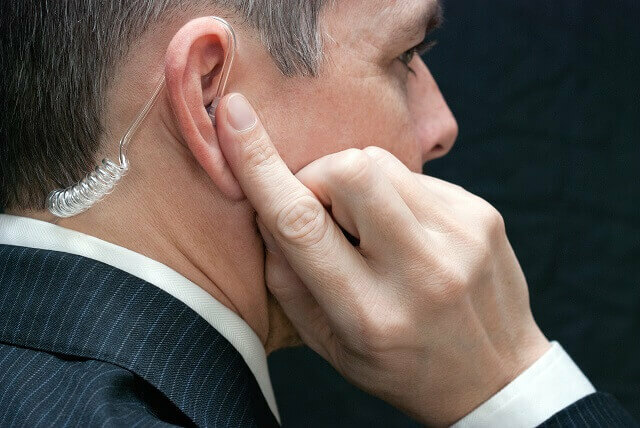 Do not be fooled – if you are being approached by Secret Service investigators, you should assume that you are a target of their investigation and you should refrain from speaking to them other than confirming your name and address. If you are the subject of a Secret Service investigation, it is in your best interest to minimize any communications about your case. Any records of your communication activity, such as emails, text messages, and phone records, may be subpoenaed by investigators and used as evidence in their case against you. Additionally, anyone who you share information about your case with may be subpoenaed to testify as to that information in court. Furthermore, to the extent that other people are being targeted in the investigation, you run the risk that any one of those individuals has secretly agreed to cooperate with investigators and may be recording you or collecting evidence against you. Your safest bet is to avoid speaking about your case to anyone other than your attorney, with whom your communications are protected by the attorney-client privilege. The dangers of communicating about your case extend to your social media accounts, such as Twitter, Facebook, Instagram, or Snapchat. Any records of your posts or private communications may be subpoenaed from you or the social media company. Likewise, records of communications through online forums may be obtained by investigators. Even if you do not use your real name, federal investigators may trace your IP address to track down accounts that are associated with you. Although you may be wary of a few emails or text messages that may look bad for you, you should never intentionally destroy documents or other evidence while you are under investigation. Destruction of evidence constitutes obstruction of justice, which is a crime punishable by up to five years in federal prison. Particularly with regard to electronic files, Secret Service investigators are extremely adept at uncovering attempts to delete or alter documents. Therefore, while you may destroy evidence against you in the underlying investigation, in the process you will be creating irrefutable evidence that committed the crime of obstruction of justice. Timing. You do not need to wait until you are officially charged to hire an attorney. The minute you suspect the Secret Service is investigating you, you should start looking for the right defense attorney. An experienced defense attorney will counsel you throughout the investigative process with an eye toward avoiding or limiting any eventual charges. Federal Experience. If you are under investigation by the Secret Service, your case will proceed through the federal judicial system. The rules and procedures of the federal court system differ greatly from those of state courts. Therefore, you should look for an attorney with experience handling federal investigations and trials. Government Background. It takes one to know one. Former federal prosecutors have an invaluable perspective on what goes on in a United States Attorney’s Office and how federal prosecutors think. If possible, you should look for a defense attorney who has experience working as a government attorney. Accessibility. You want an attorney who will take your phone calls and address your concerns throughout your Secret Service investigation. Secret Service investigations are stressful, but getting in touch with your attorney should not be. Nick Oberheiden has successfully defended individuals and companies against allegations brought by DOJ, OIG, CMS, IRS, FBI, DEA, DOD (Department of Defense), and other federal agencies, including the U.S. Secret Service. Dr. Oberheiden is trained in negotiations by Harvard Law School, and he received his Juris Doctor from UCLA School of Law as well as a PhD in law. Call Oberheiden, P.C. today for a free and confidential consultation regarding your U.S. Secret Service investigation. The attorneys at Oberheiden, P.C. are comprised of former federal prosecutors and experienced federal defense attorneys who handled hundreds of federal investigations throughout the United States. You may speak directly with one of our attorneys seven days a week, even on weekends.